(raps Versace, Versace, Medusa head on me like I'm 'luminati) Versace has made this style of bootie for a couple of years now. Miley Cyrus has been seen out several times with this exact pair. In our fall must haves post we mentioned a platform bootie, this is the perfect fall/winter bootie. But for our frugs we a similar pair that is way cheaper from our fav store Lola Shoetique. What's the TREND? This is TARTAN! Tartan print is taking over the world one day at a time, seen on just about every celebrity from Kanye West to Rita Ora. 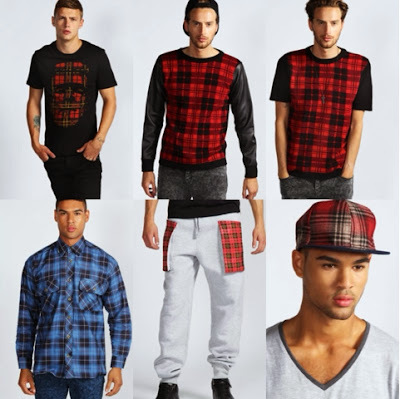 Tartan is a pattern consisting of criss-crossed horizontal and vertical bands in multiple colors. Tartans originated in woven wool, but now they are made in many other materials. Tartan is particularly associated with Scotland. Scottish kilts almost always have tartan patterns. Tartan is often called plaid in North America, but in Scotland, a plaid is a tartan cloth slung over the shoulder as a kilt accessory. The Tartan print is trending in many different styles of clothing including midi skirts, pant suits, dresses, leggings, chinos, a-line skirts. 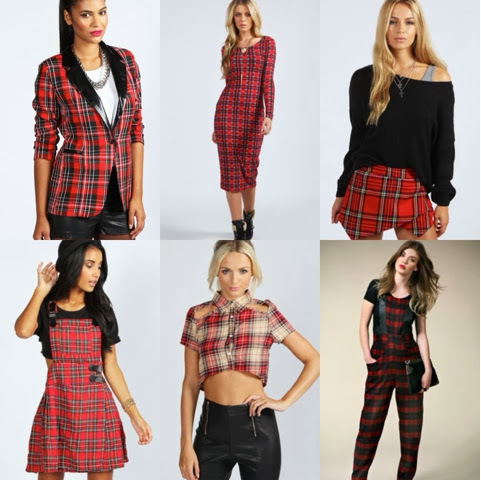 Below are some Tartan print selections from boohoo.com that are under $75! 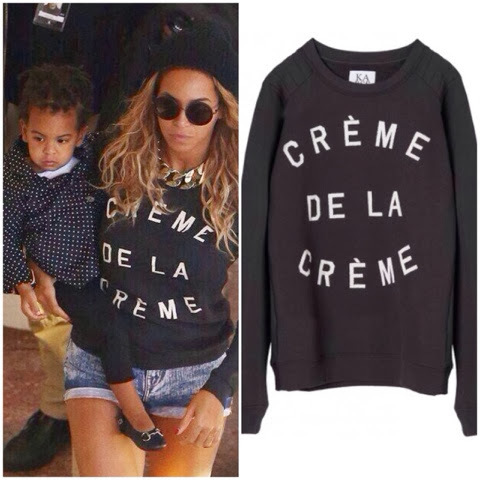 Beyoncé was spotted out in Melbourne Australia with Blu Ivy on her hip sporting a Zoe Karssen Crème de la Crème Print Sweater that retails for $126. Clearly that's not in the budget for a Frugalshopaholic. 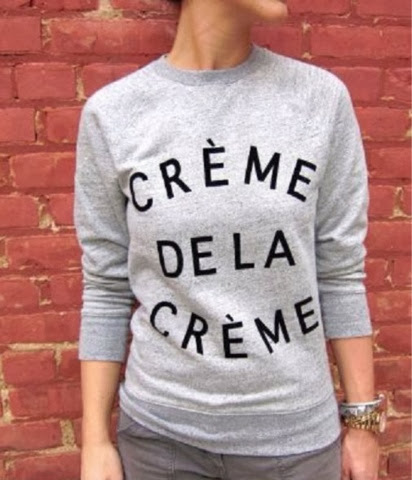 I found a Zoe Karssen inspired sweatshirt online for HALF the price! To purchase click the link below! Every woman should have at least ONE Little Black Dress apart of their wardrobe. But after you've purchased and solidified your ONE you should definitely have different styles that can be worn in various environments or events. Cocktail, Gown, Casual, Business, etcetera. Lulus.com recently featured a boatload of LBDs on their site varies styles and lengths, very affordable! Below are a few dresses that I thought were great to choose from for a LBD slot in your wardrobe! Save 20% on Your Order. Plus, receive Free Shipping. Get 20% off your purchase. Expires on 10/22/2013. I have purchased several items from Bluefly over the years. One of my favorite features is "Notify Me". If the item that you are looking for is sold out, you can add an alert and receive an email when it comes back in stock. "Notify Me" helped me snag a pair of Giusseppe Zanotti shoes for less than $300, unfortunately I had to send them back. Frugs check out bluefly.com and take $30 off with code GLAM30 *orders of $150+. Excludes final sale items. Where are all my Gladiators? The season 3 premiere of Scandal had everyone talking, but most of the talk was in reference to Olivia's wardrobe. Olivia wore a white Burberry caped trench coat that caught everyone's eye. 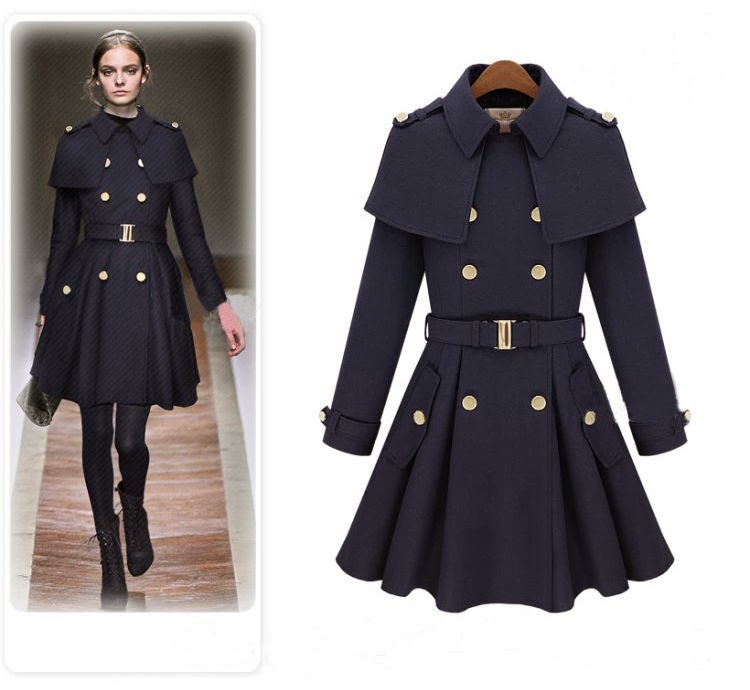 So for the past couple of weeks I have been on a hunt to find a similar coat for a fraction of the cost. I found a few coats on eBay, check them out below. 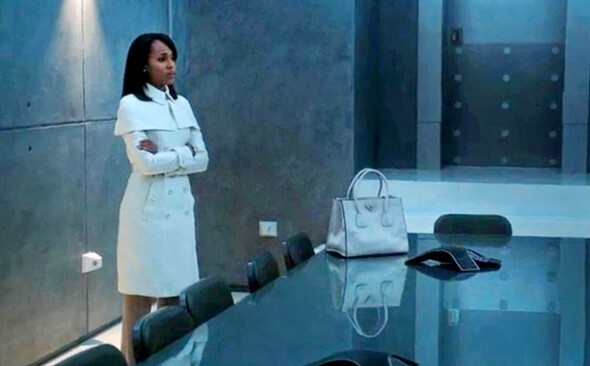 What are your favorite Olivia Pope looks? Leave a comment down below and we will try to find the look for less. Though I'm not a huge fan of the Fall & Winter it is important to be well prepared in the fashion department when it comes to seasons changing. While looking for shoes I came across a great look for less! The Jeffrey Campbell Solitaire Pump is about $140, not too bad but definitely not in a frugalshopaholics budget for ONE pair of shoes. This Look for Less can be purchased at JustFab.com. Yesterday was my first time using the site and I ended up only paying $19.99 and it included FREE shipping! The regular price is only $39.99, still a steal! 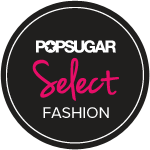 With JustFab.com you have to create an account in order to purchase items at a discount. But with having an account they will notify you when your Monthly Boutique of shoes is available. We are well into the 2nd week of Fall and the temps are slowly dropping. Don't be ill-prepared for the season! 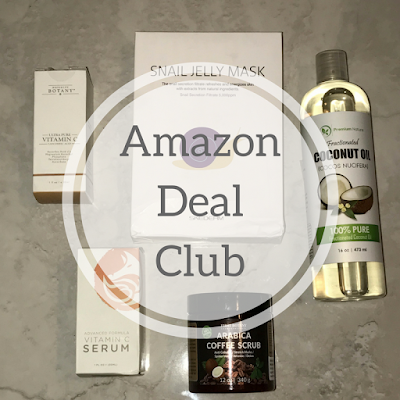 You don't have to spend an arm and a leg for these items, do your research online and always look for coupons! 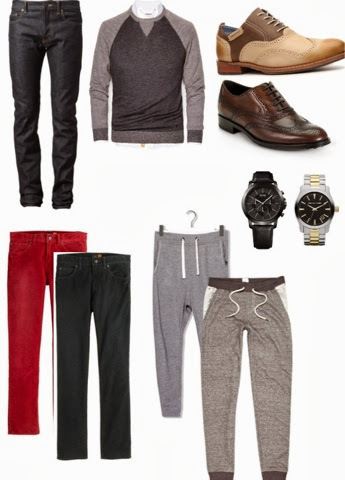 The following items are Must-Haves for our male frugs, enjoy and leave suggestions if I've missed something. Lola Shoetique is probably one of our favorite online shoe stores right now and we always seem to feature them in our "Look for Less" posts. I was introduced to Lolashoetique through Instagram and I haven't looked back since. They provide frugalshopaholics like myself a haven to purchase all types of shoes for affordable prices, I haven't seen anything over $100 which is always a plus. Lola Shoetique is a family owned business dedicated to providing their customers with fashion-forward options for shoes for all occasions. Lola Shoetique has several retail & wholesale locations as well as an online store. If you are an avid online shopper the online store is a great way to look at everything and utilize any coupons they may have at the moment. I have ordered two pair of shoes from Lola Shoetique. Shipping is very fast and the customer service they provide is phenomenal. If you haven't already check out lolashoetique.com and Shop til you drop! The Givenchy Shark Lock Fold Over Wedge Boot has been out for over a year now. They have been seen on many celebs such as Kim Kardashian, La La Anthony, Taraji Henson, Brandy and more. $1700 is pretty steep for a pair of boots, but if you got spend it. 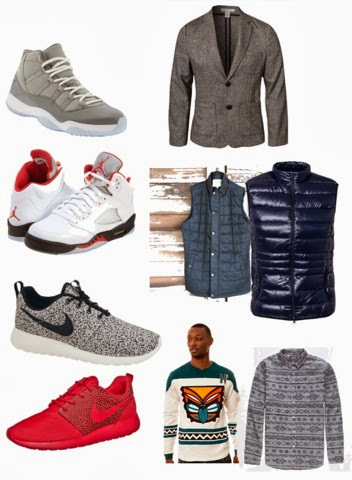 For those who don't have it like that check the look for less out below!